So, enjoy some of the ideas here; adapt them and make them your own, and if you’re feeling really generous, leave an idea or two of your own below! 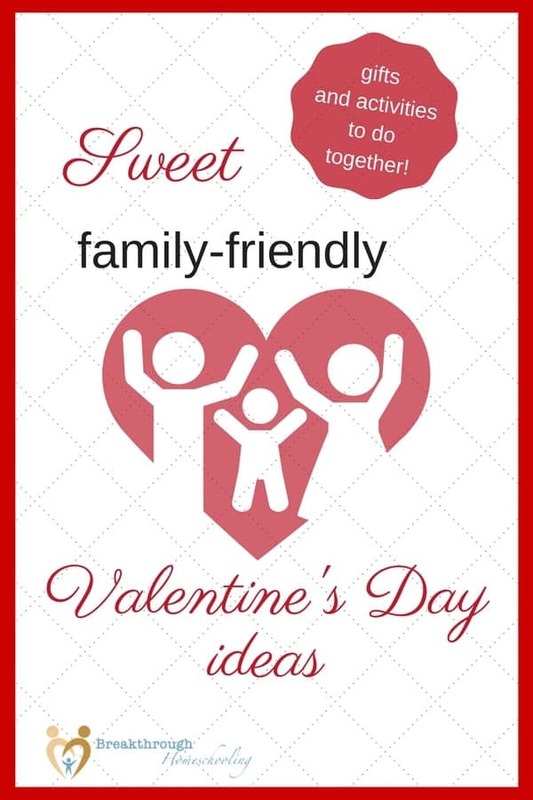 But in the spirit of spreadin’ the love, here are some family-friendly ideas for simple gifts. And, even better, activities that you can use to spend time together, because, after all, that is really the most precious gift of all, isn’t it?! These are perfect for any family: homeschoolin’ or not! At any time, the best gifts you can give come from the heart, And at times, coming from the heart means they can be homemade. These recipes for homemade body butter or scrubs can be a fun project for the kids and are able to be personalized to mom’s favorite scents and oils. I know more-than-a-few moms who would just love some personal quiet time or time to read or study… And if she’s really been stressed out, consider a devotional from this list of devotionals for homeschool moms. Pin this post for sharing and future reading! And don’t forget to bless your kiddos, too! I know, I know… we homeschool moms are with our kids 24/7 (or so it seems like, sometimes), but don’t let that be an excuse to let the day go by uncelebrated. Just as we want to feel loved and special, our kids like a little extra dose of that, too. Here are some simple ideas that can fit the bill, especially if they’re not already in your repertoire. 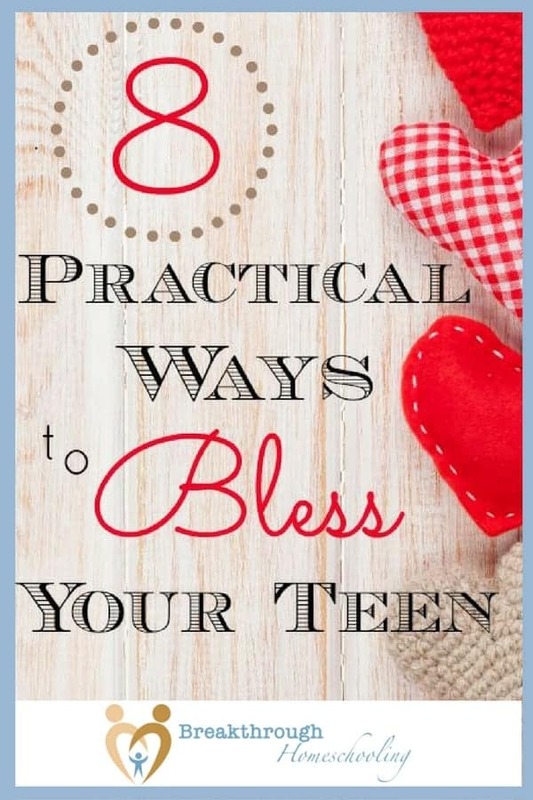 How to Bless Your Teen – Check out this post for 8 simple ways to show your teen love and respect on Valentine’s Day…and every day! 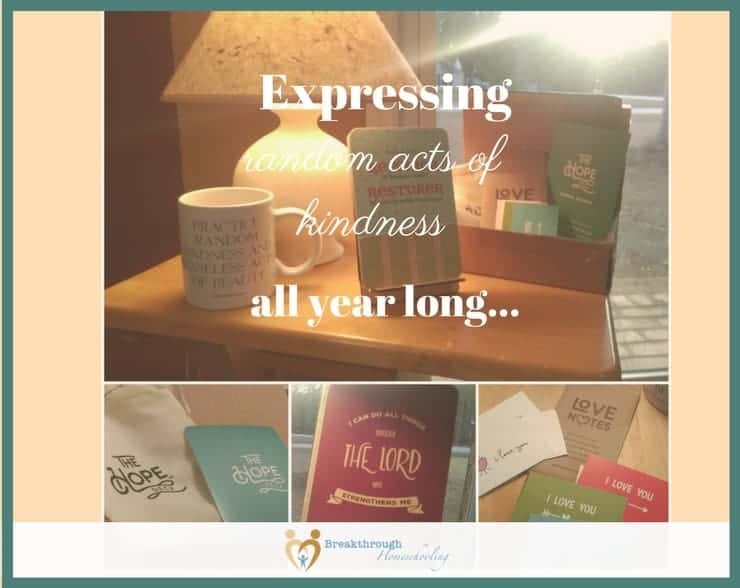 This post, again from my series “5 Days of Serving Others at Christmas”, suggests other ways to show love by serving your kids. How ’bout a special family evening? Unless this is a regular event, why not try a family game night? 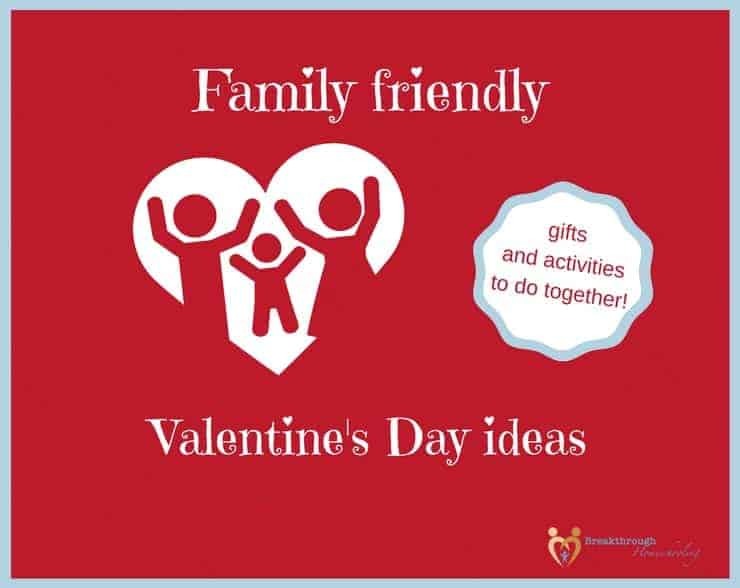 Or, if you have little ones, too, have some printables ready and get your teens to get involved for a night of Valentine’s Day crafts and activities (your little ones will LOVE this, and you’d be surprised how much fun your teens will end up having, too…). Valentine’s Day is all about showing love and appreciation, right? And I don’t think it’s coincidental that the date falls square in the middle of Random Acts of Kindness Week. Read this post I wrote for some ideas to show all the people in your life love and appreciation or head on over to the “official” RAK website! What are your Valentine’s Day plans? Share them with us for some new ideas!